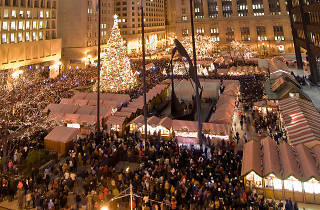 Photo: Courtesy of Chicago Mayor's Office Christkindlmarket at Daley Plaza is a top holiday market. 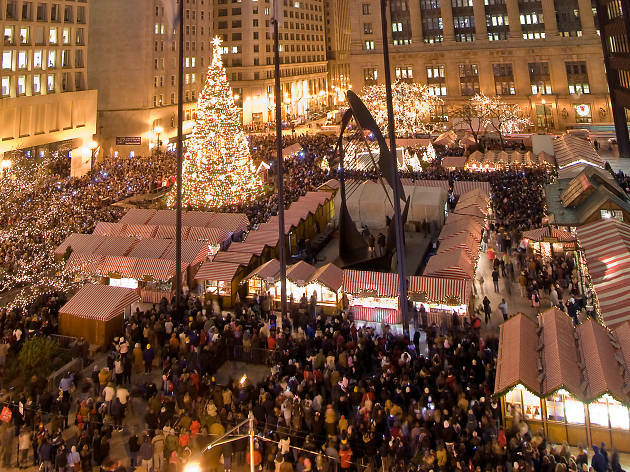 Christkindlmarket, one of the best holiday markets in the city, opened today in Daley Plaza, and we were among the first to explore the charming Bavarian booths. A few tips: 1) DönerMen, new to the market this year, has a curry wurst that you must eat, but the booth is tucked away near the corner of Dearborn and Randolph. Make it your mission to find it. 2) Some booths are cash-only, so hit the ATM before you go. 3) Go on a weekday when the market opens at 11am and you won't have to fight the crowds. I found out about this event for the first time when the girlfriend told me she goes every year. But to bad for us, she forgot that it ended the day before Christmas; Not the day after. Oh well, there will be next year. i got my eye on one of those Beer Stiens! Wildlife don't carry these two ornaments. Where can I purchase a Bean ornament? Most booths take credit cards! Visit booth 33 for the kindest sweetest people I have ever met! And they take credit cards! Have a spiced wine and get Christmas shopping! Somehow this market doesn't feel commercial!